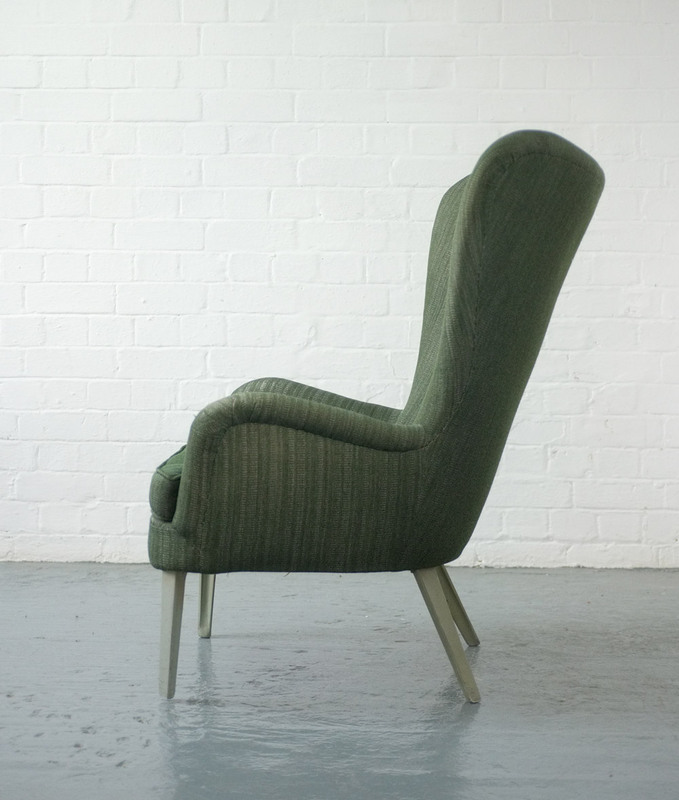 A DA1 chair designed in 1946 by Ernest Race. 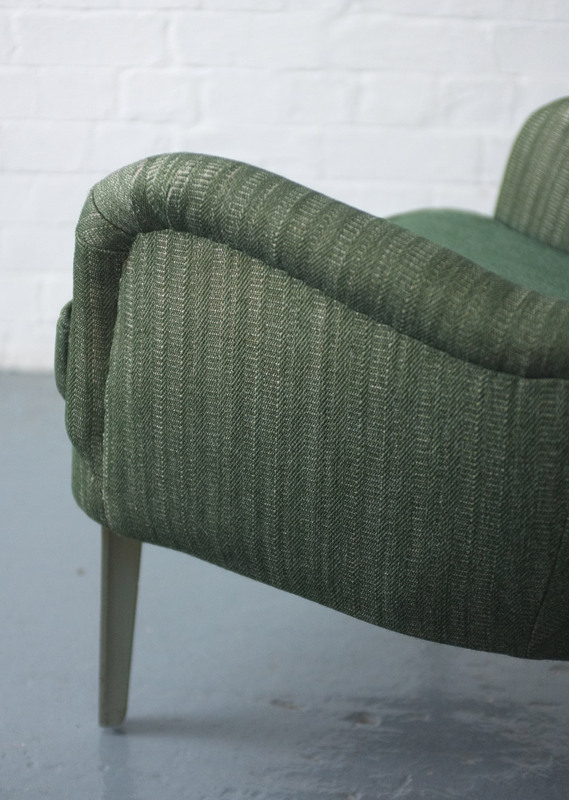 An innovative design using steel-rod frame combined traditional upholstery techniques. 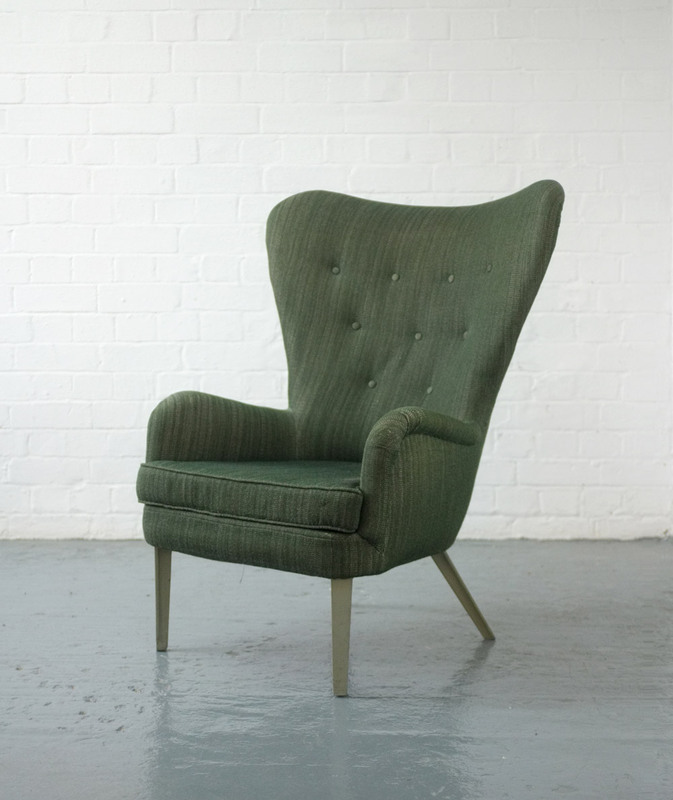 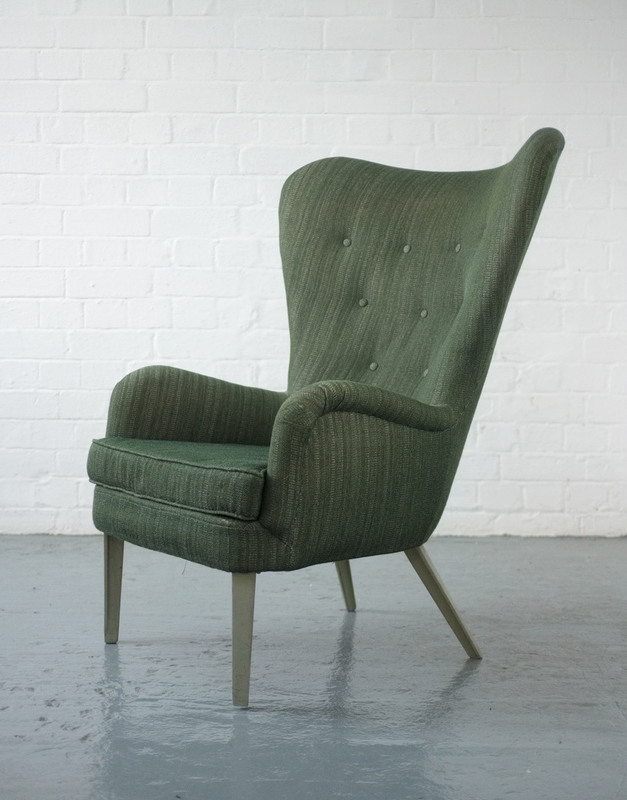 This chair has its original 40s upholstery and is in remarkably good condition. 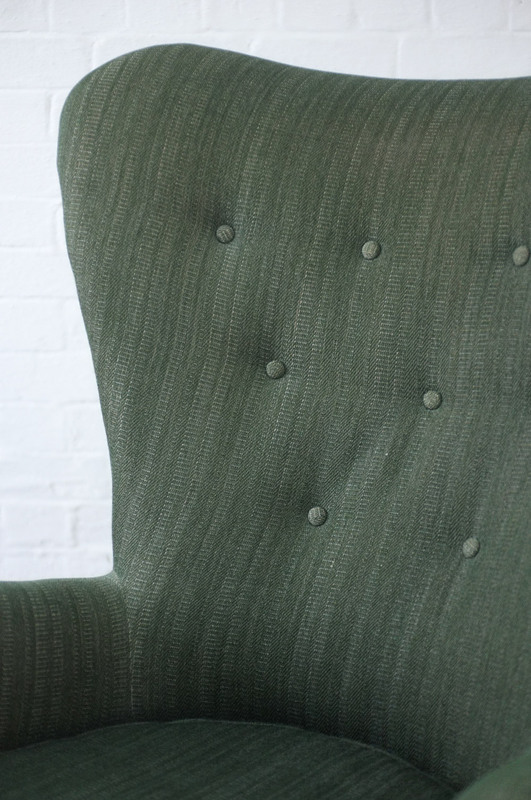 The green fabric has even fading, with some minor marks and wear. 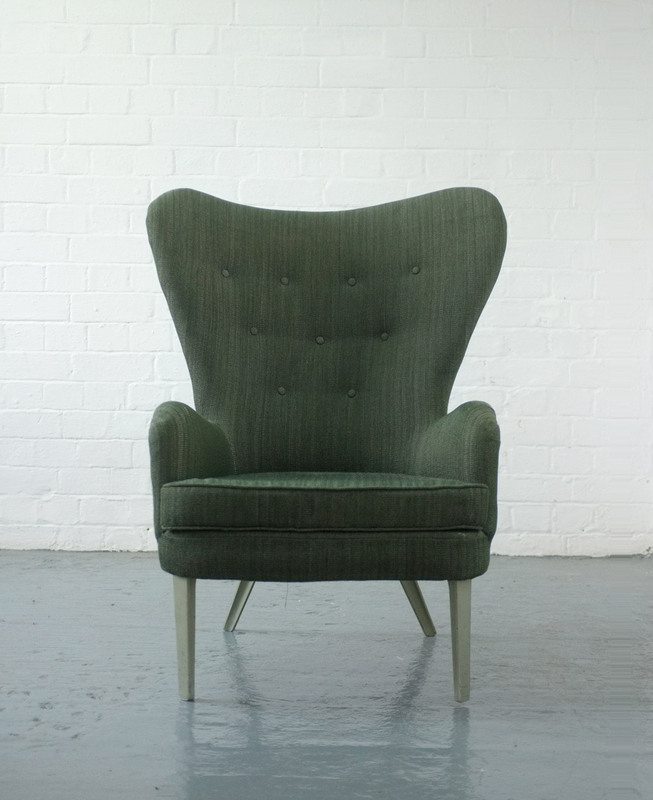 Very hard to find to this chair in such good original condition.